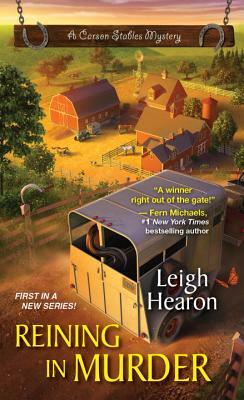 Leigh Hearon began her own P.I. agency, Leigh Hearon Investigative Services, in 1992. Her cases have appeared on In the Dead of the Night, Forensic Files, 48 Hours, Court TV, City Confidential, Unsolved Mysteries, America's Most Wanted, and Evening With Connie Chung. Hearon was an avid rider of horses throughout her childhood. She currently has a Saddlebred mare, Jolie Jeune Femme, and enjoys watching two rescue mares cavort on a 55-acre farm she shares with her husband. Visit her on the web at leighhearon.com.